Aimed at the reader with some previous programming experience, C# and the .NET Platform provides an enjoyable and well-paced tutorial for learning C# and Microsoft’s new .NET Framework. This well-written guide is all you need to get onboard with the latest in Windows development. Overall, this is a pretty decent book on C# 2.0. 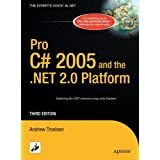 While much of the book (and C# 2.0) is the same as for .Net 1.1, the review has certainly not hurt me and has not been hard to read at all. From a content perspective, it is fairly thorough, touching on most of the new features of C# 2.0, but the level of coverage for the C# 2.0 specific features is at the same level as the 1.1 features. If you’re a beginner looking to learn .Net, C#, or how to program, I would not suggest this book. 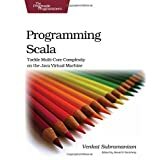 If you’re a practicing .Net developer with a background in C#, I would highly recommend the book until there are more technically comparable books that may be more readable available.